An empty large commercial truck weighs about 10,000 pounds. 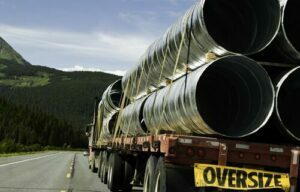 When loaded with cargo, the full rig may legally weigh up to 80,000 pounds. It is not difficult to understand the adverse impact of a cargo shift that suddenly moves a majority of the truck’s weight. If cargo isn’t properly loaded or becomes loose in a moving truck, it can suddenly shift the massive vehicle’s center of gravity and send it out of control, rolling over or into a jackknife accident. The destruction such an accident can cause other vehicles and drivers sharing the road with the out-of-control and crashing tractor-trailer is devastating. Babcock Trial Lawyers works with individuals and families injured in truck accidents in Baton Rouge and surrounding Louisiana communities to help them obtain justice. When overweight containers cause a truck crash, the trucking company and any third-parties responsible for the cargo may be held accountable to those injured. Our semi-truck accident attorneys seek full compensation for the injured to reimburse them for medical expenses and other losses, as well as for their pain and suffering. We represent Louisiana truck accident victims with a guarantee of no financial risk to the already suffering accident victims. If we do not recover a monetary settlement or court award, there are no legal fees charged. In the meantime, our 100% Satisfaction Guarantee is that we’ll hand over the entire case file within 30 days of being hired to a client who tells us they are unhappy with our representation with no attorney’s fees or costs owed whatsoever. Commercial truck accidents are often complex and difficult claims. Large trucking companies (motor carriers) have deep pockets for defending themselves. Our Baton Rouge personal injury attorneys have the knowledge, experience and resources necessary to develop a successful truck accident claim for you. However, the investigation necessary to collect evidence to support a claim requires prompt action. If you or a loved one has been injured in a truck accident that may have been caused by improperly loaded and/or shifting cargo, we urge you to contact Babcock Partners today. Did Overweight or Improperly Loaded Cargo Cause Your Truck Accident Injuries? The problem caused by unsafe or overweight cargo in commercial trucks is the potential for harm if some of or the entire load breaks free during transit. Tractor-trailers and other large trucks already have a high center of gravity compared to passenger vehicles and are less stable. A cargo shift that abruptly transfers weight within the truck can throw the vehicle off balance and easily cause a driver to lose control of the moving vehicle. in which the truck has fallen onto a side or its roof. A truck that rolls over onto the adjacent roadway, or off a bridge, overpass or access ramp, can destroy anything that happens to have been under it. in which the cab and trailer of a large truck slide toward one another like a folding pocketknife. A jackknifing tractor-trailer sweeping across a crowded highway can impact any vehicles and their occupants, as well as pedestrians, bicyclists or other property in its path. in which the truck’s payload has broken free and fallen out of the truck (separate from cargo spilling during an accident). Falling cargo may strike another vehicle and cause direct harm or a crash that results in injury or death. Cargo lying in a roadway can cause a multi-car accident in traffic as drivers brake and/or swerve to avoid it, or an accident later as an unsuspecting driver comes upon the debris. involving toxic chemicals and gases, hazardous waste and other potentially harmful materials that spill from a tanker or cargo truck. A variety of hazardous materials regularly shipped by truck can harm people and property, including real property. The damage can be long-lasting and widespread, particularly if bodies of water or the water table are affected. If any of these were a part of the truck accident you were injured by, Babcock Partners can help you. Call today for a free, no-obligation review of your case. Upon taking your truck accident case, Babcock Trial Lawyers would begin to collect evidence about the circumstances of the crash. A rollover or jackknife are obvious, but an investigation will likely be necessary to determine whether they were caused by a cargo shift. Our investigation will require access to the crashed truck and any remaining cargo, as well as to employees of the motor carrier, and such records as the trucker’s cargo inspection records, the carrier’s bills of lading, and other records referring to loading, securing and inspecting the truck’s cargo. Depending on where the truck accident occurred, we have handled truck accident cases where there was a dashboard camera video of the crash. Many commercial trucks now have onboard video recorders, which could show movement in the truck indicating a sudden shift in its cargo. 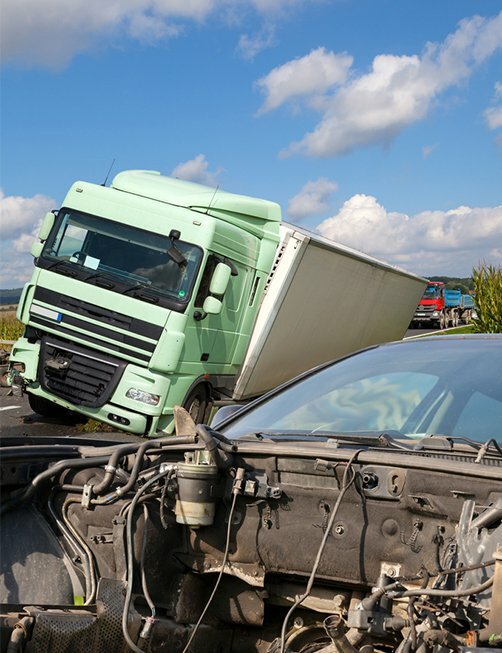 In some cases, we consult accident reconstruction specialists to determine the cause of a complex truck crash. Once a cargo shift is identified as the cause of a truck accident, our task becomes to show that negligence on the part of one or more parties responsible for the security of the truck’s cargo. Obtaining the evidence outlined above typically requires a court order compelling the trucking company to cooperate with investigators. For this reason, we urge truck accident victims to contact Babcock Partners before crucial evidence may be degraded, destroyed or otherwise lost. In cargo shift accidents, the trucking company and any third party responsible for the cargo may be held accountable. The truck driver also has a responsibility to check devices used to secure the truck’s cargo before their trip and at any stop. As your truck accident attorneys, Babcock Partners will seek to hold all responsible parties accountable for the harm that you or your loved ones have suffered, and to obtain the maximum compensation available to you. Contact Babcock Trial Lawyers today if you or a loved one has been injured in a commercial truck accident. We’ll investigate to identify all parties responsible for the harm you have suffered, calculate the full extent of your losses, and seek what’s necessary to make you whole financially.